If couponing still has you stumped, I’d love to see you at one of my upcoming workshops! If there’s not one in your area, check out our live online Q&A’s that happen most Monday nights at 8:30pm eastern. Workshops are a 2.5 hour detailed view from the beginning through drugstores on how to cut your budget. I come straight you! We are currently scheduling spring workshops and I’ll be taking the summer off from traveling thanks to a small person arriving in May. In other words… if you want to attend a workshop now is a great time. 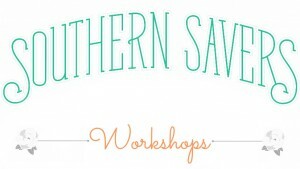 Note: Workshops are $10 per person/couple to help pay for traveling costs, printing etc. Everything is pay at the door to avoid online fees, so bring cash or check with you. Workshops are the only thing that actually costs money around here, but I promise you’ll make back that $10 on your first trip to the store!